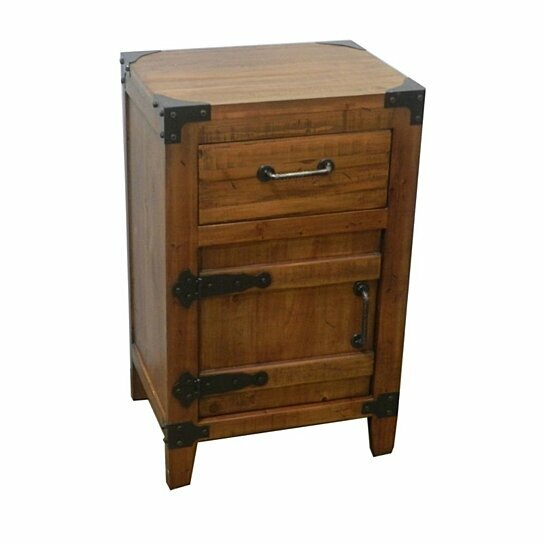 A wooden curio table is perfect pick if you are thinking to buy new table. This table will offer alluring classy look to the interior. It is made of quality wood in brown shade. For vintage touch, this table has metalwork on it. This curio table has one drawer and one cabinet only. This smartly designed table will add a style element to the interior. This wooden curio table will look stunning in the drawing room, guest?s room or bedroom. This product can expose you to chemicals including Formaldehyde, which is known to the State of California to cause cancer or birth defects or other reproductive harm. For more information, go to www.P65Warnings.ca.gov.